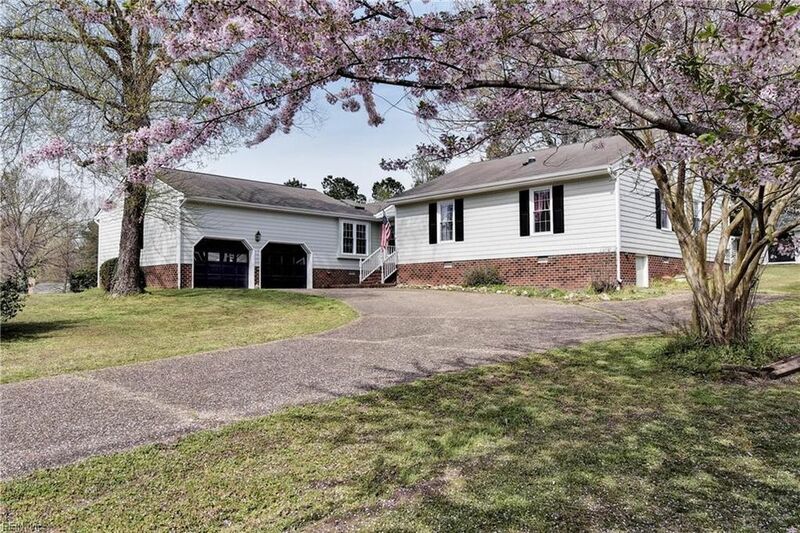 Darling Ranch on .51 Acres in Mirror Lake Estates is convenient to I-64. Country Living yet close conveniences. Great Room with hardwood floors, gas fireplace and vaulted ceiling. Kitchen has been updated with granite, HW floors, island, double ovens and gas cooktop. There is Dining Room with HW floors and access to the screened porch & deck. The Master bedroom has hardwoods and renovated bath. 2 other bedrooms with hardwood flooring. Hall bath has been updated. Outdoor Building with plumbing & electric can be a great art studio, woodworking shop, hobby room or convert to guest house. 2 Car garage.